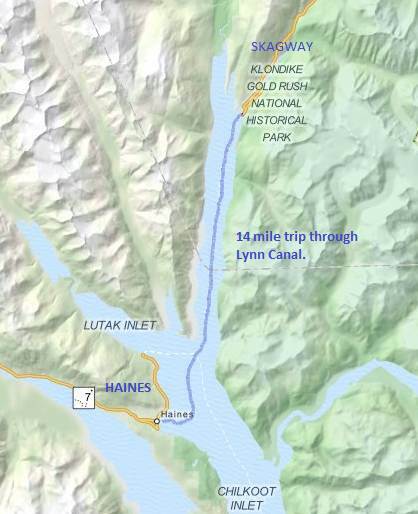 The Lynn Canal, the longest and deepest fjord in North America, connects Haines and Skagway. The 14 mile trip has three inlets with amazing sights in every direction. For most of the trip, you'll be moving through the gorgeous Taiya Inlet surrounded by mountains and glacier ice, cascading waterfalls and stunning wildlife.